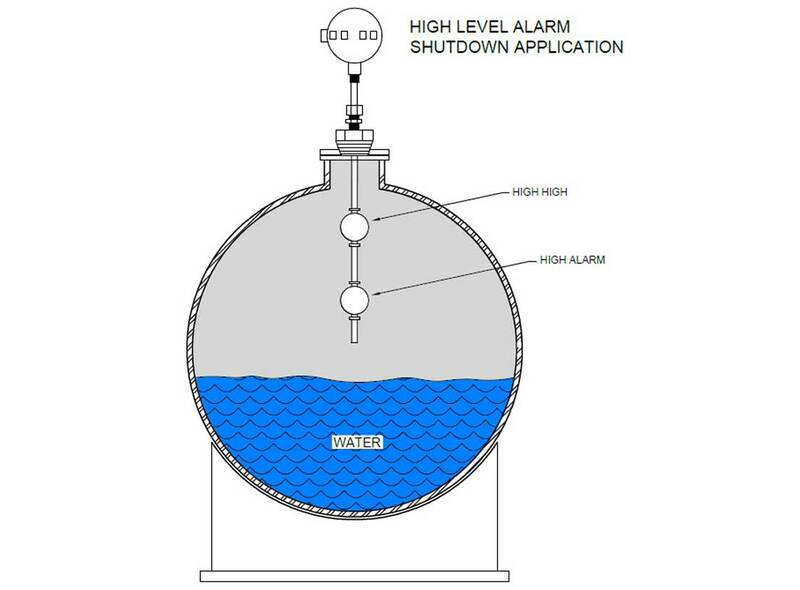 The MLS-4EX series multi-float level switch is a simple and reliable way to sense fluid levels. 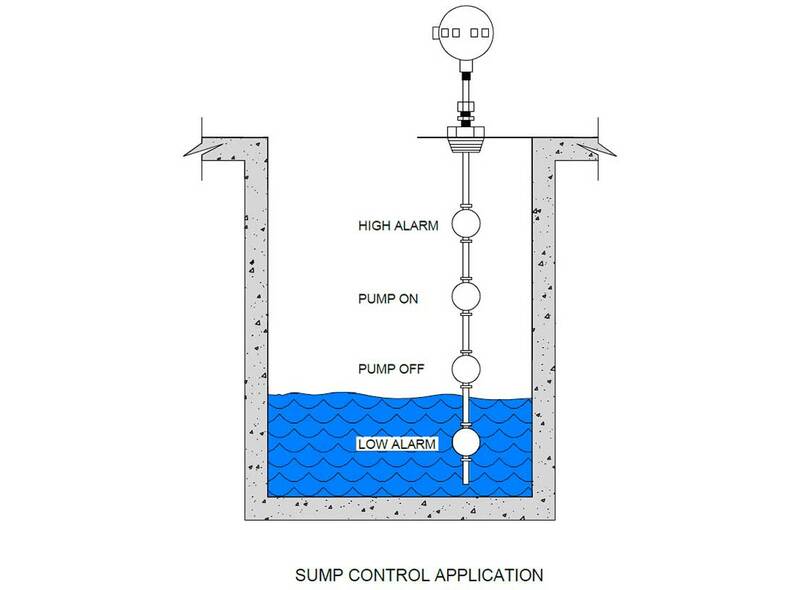 This multi-point unit provides a low cost method of monitoring multiple liquid level points inside of a tank or sump. MLS-4EX units are custom length and can be configured with “up to four” independent switch activation levels. The unit is constructed with a stainless steel probe that has magnetic floats which actuate a reed switch at each switch point. The switch points are fixed on the probe for reliable and repeatable operation. These features make the MLS-4EX multi-point level switch ideal for alarms and pump controls in a variety of remote applications. 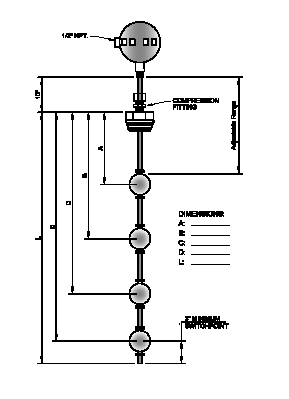 Because each unit is custom fabricated, options include flange connections, low specific gravity floats, high pressure floats and stilling wells. Refer to PDF Dimensional below.